This undated photo provided by Professional Sports Authenticator shows one of seven Ty Cobb baseball cards, a baseball-card find of a lifetime, that were found crumpled paper bag in a dilapidated house. Card experts in Southern California say they have verified the legitimacy, and seven-figure value, of the seven identical Ty Cobb cards from the printing period of 1909 to 1911. From a crumpled paper bag in a dilapidated house came a baseball-card find of a lifetime. Seven of them actually. Joe Orlando, the president of Professional Sports Authenticator in Newport Beach, California, who verified the find, said it is "spectacular" and "miraculous" to have come across such a cache. "I am not sure if any other baseball card find is more remarkable than this new discovery," Orlando said in a statement. That dealer, Rick Snyder of MINT State Inc., said his initial reaction after getting a voicemail from the family was "absolute skepticism." "I doubted they were authentic because finding seven of these cards at one place at one time seemed almost impossible," Snyder said. But after examining photos then finally seeing the cards themselves a week later, he became convinced. 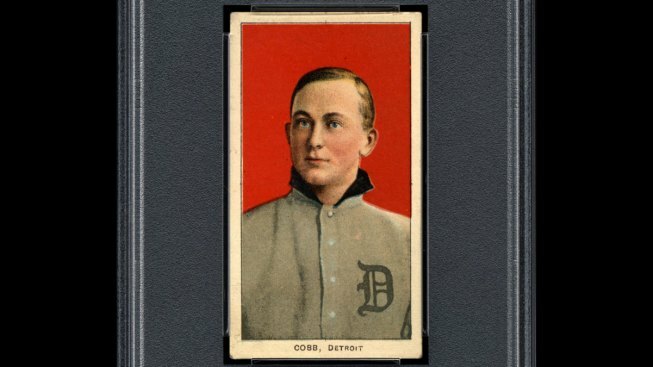 They say on the back "TY COBB — KING OF THE SMOKING TOBACCO WORLD" in green ink. The cards' value is sure to shift now that there are so many more in existence, and an exact figure is difficult to pin down. But Orlando said the total worth of the whole cache should exceed $1 million. It's not yet clear what the family who found them intends to do with them. "This is one of the greatest discoveries in the history of our hobby," Orlando said.